The play is done. The curtain down. The children exhausted. It was a great play. The 6th graders looked so tall next to my little 1st graders, but each child did such a great job. You could tell how hard they had worked at memorizing their lines and songs and dances. E was adorable! Well, each child was adorable, but since E is my child I’m going to say we was just about the most adorable thing I’d ever seen. I was so proud of each of them. E is the bunny between the bear and the fox. Isn't he doing a great job of being cute? Here the animals are to look "droopy" or "sad" because Demeter will not let the food grow. 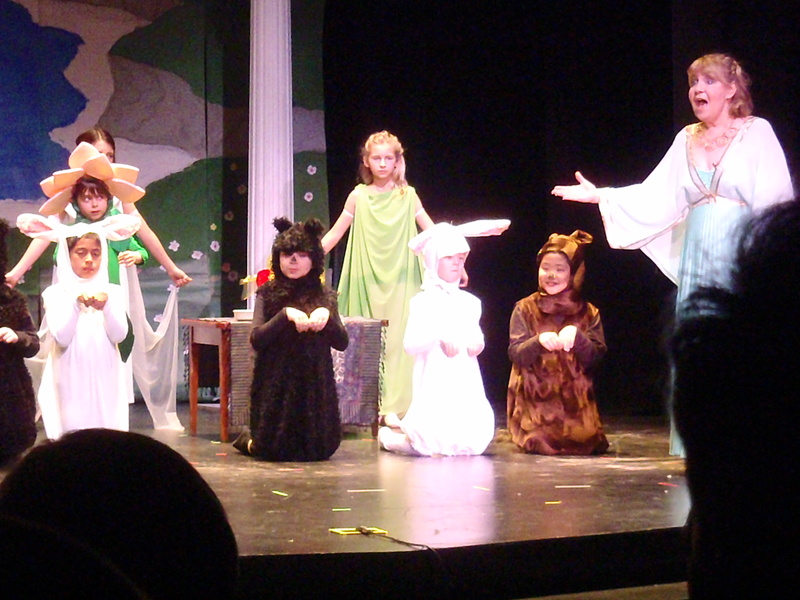 In this scene everyone is bringing gifts to Demeter and pleading with her to let things grow again. Right before the woodland creatures come on stage. 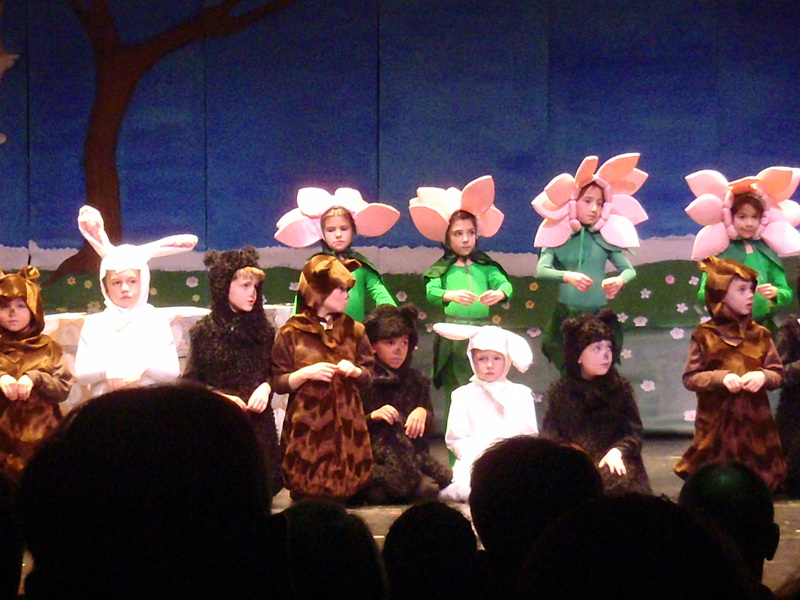 The flowers and the woodland creatures all come out together in every scene. The pigs with the swineherder! 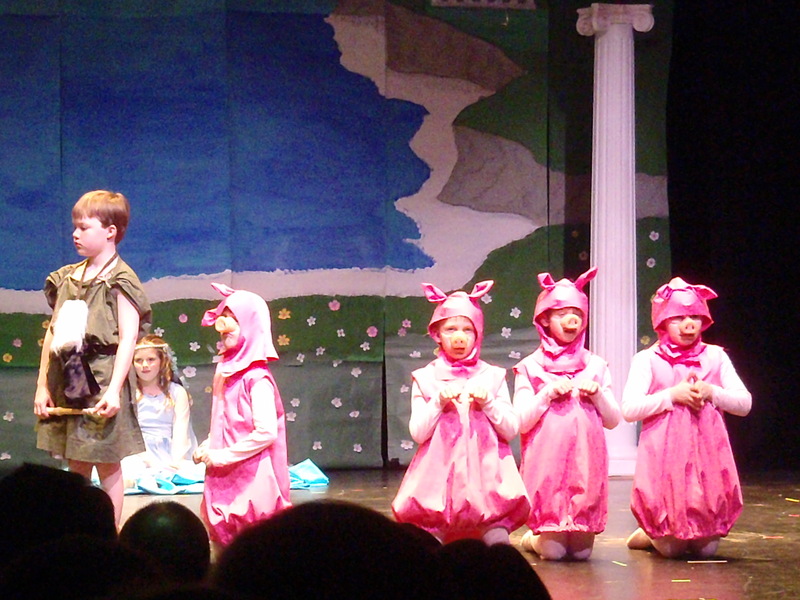 Remember the pig costumes? I did those first and it seems like forever since I've seen them. And they were soooo cute! More pictures of E and some other characters in Persephone. 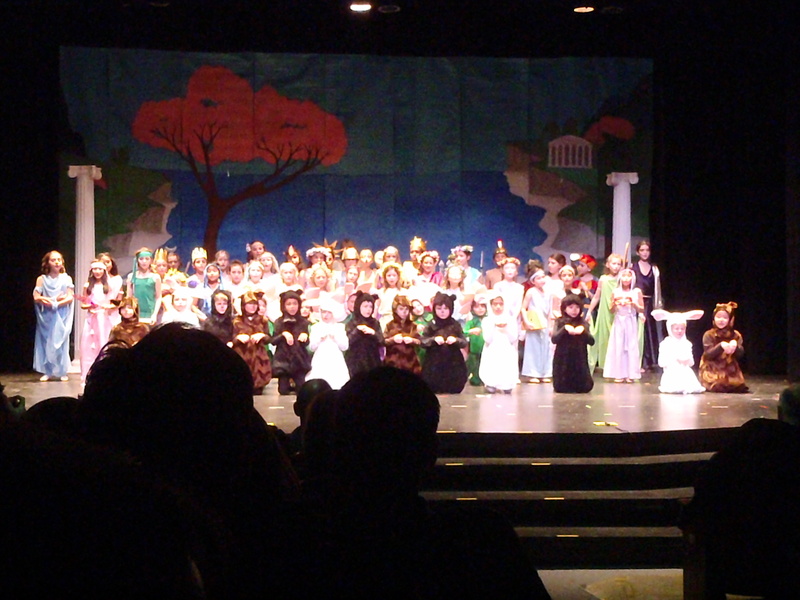 A far away shot of the entire cast and stage. There are a whole lot of kids up there really performing their hearts out. 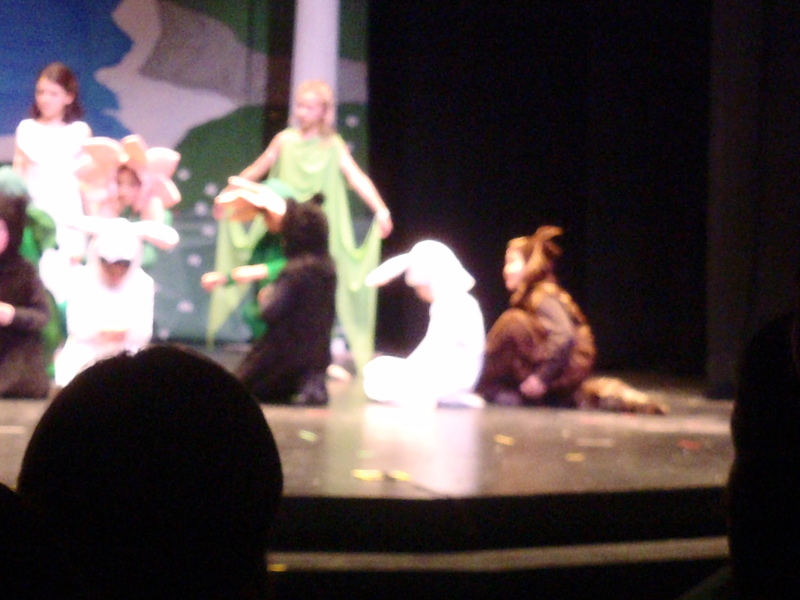 The play was a lot of fun. Even H, who is now 2.75 years old and should have gone to be 30 minutes after the play started, was enthralled by the action. Grammie was there beside us and clapped harder than anyone, I think. It was a great experience for E and his classmates. 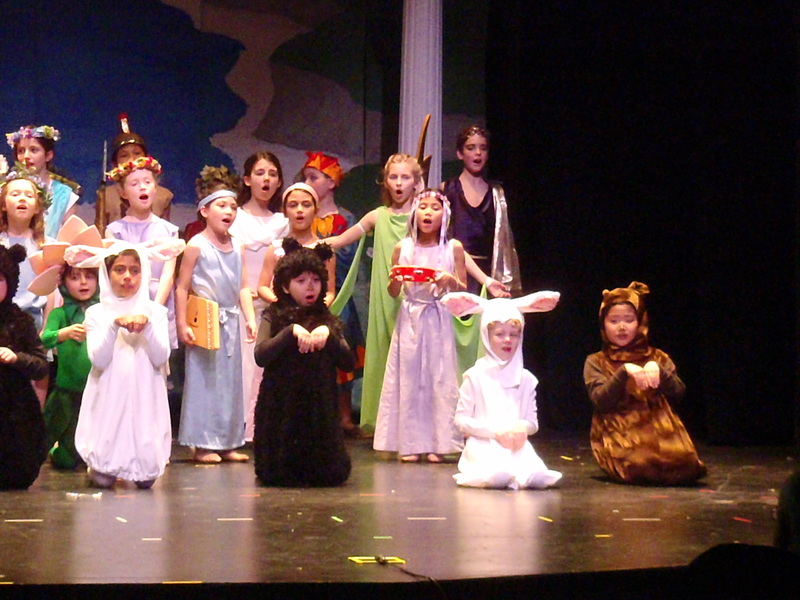 The costumes I sewed turned out great and the school is keeping them to use them again for a future play. I got some compliments from the parents who knew who I was, but I escaped before I had to awkwardly say “Thank you, it was fun to sew them.” or “Yes, didn’t they turn out so beautifully.” to 62 sets of parents. And, I was informed before the play started, that my name was bandied about during the Parent Council meeting as someone who would sew some pillows to be sold at the Spring auction. I hope my face didn’t show too much shock and fright. But, now back into bags and quilts! I have materials that need to be cut and sewn together into something wonderful and beautiful! Stay tuned! I can not STAND the cuteness! and beautifulness, I might add. 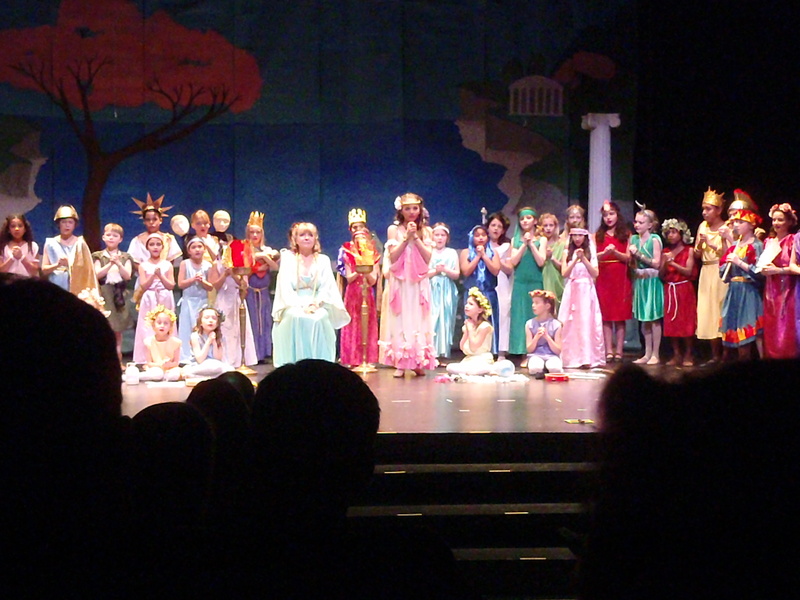 Loved looking at the photos and seeing your handiwork on stage. (Talking about E, of course, but we can include all those awesome costumes.) Kudos!